Search for all "Serotonin receptor 3A (HTR3A)"
Goat anti Human, Rat Serotonin receptor 3A (HTR3A). A synthetic peptide corresponding to amino acids (GPQDFEKSPRDR) of human HTR3A. Goat polyclonal antibody raised against synthetic peptides of HTR3A. 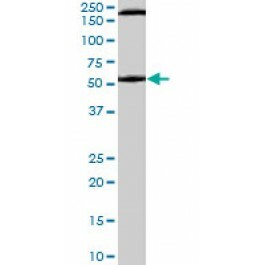 This antibody is expected to recognise both reported isoforms (NP_998786.1 and NP_000860.1).